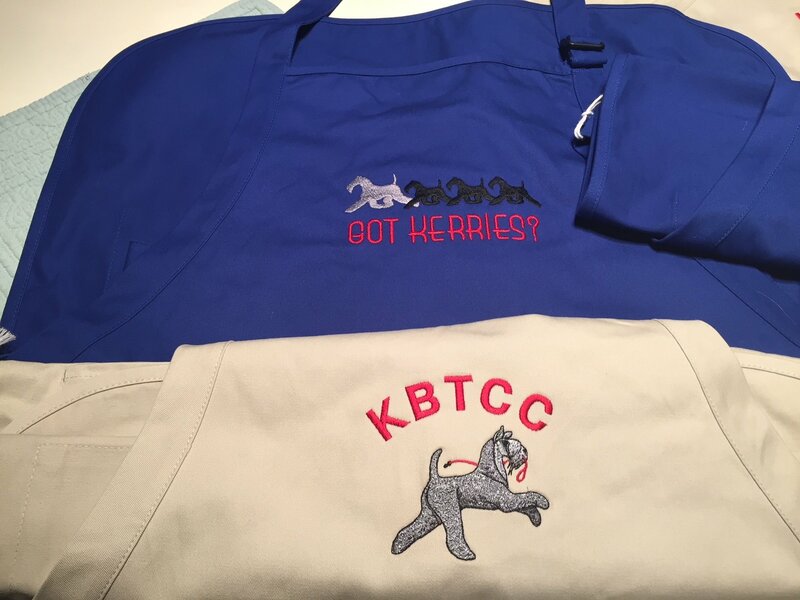 These sturdy cotton aprons are great for grooming, BBQing or just showing off your love of Kerries! 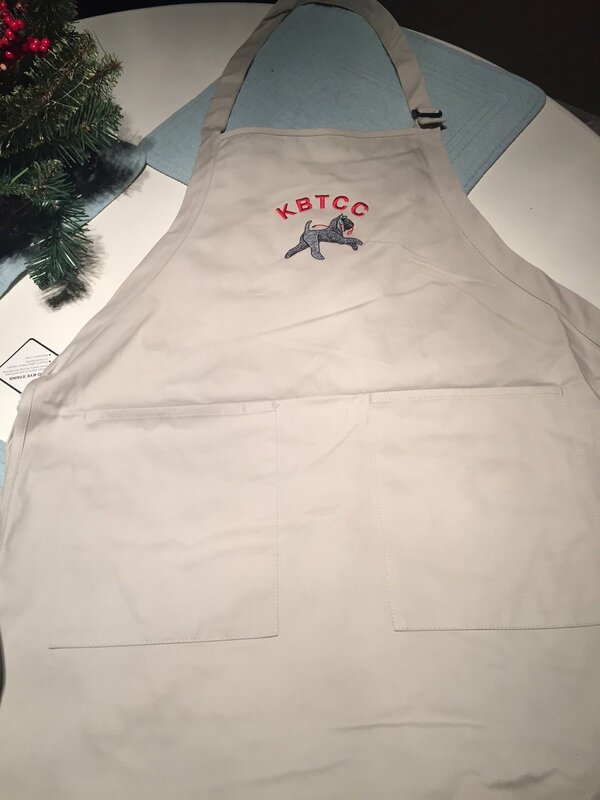 Available in Navy Blue (says Got Kerries with mum and pups) or Cream (says KBTCC with prancing Kerry with leash). Long waist ties that can wrap around plus large pocket in front.